U.S. Bank is the latest in a long line of banks to cultivate innovation through intense coding jams, but some analysts question whether such events yield tangible value. Vishal Srivastava pulled an all-nighter coding one weekend building a mobile application that turned the onerous and sometimes awkward task of settling a restaurant bill into a game. An amusing twist on credit card roulette, the software includes monsters that eat their way around the screen before settling on the photo of the victim who must pay the tab. The app, Undutchly, won the $15,000 grand prize in a hackathon held last month at Plug and Play's Tech Center in Sunnyvale, Calif, hosted by U.S. Bank and MasterCard. The competition, which included 100 developers spread across 23 teams, is part of U.S. Bank's bid to uncover new software by tapping into Silicon Valley’s programming talent. "We thought, let's engage the smart folks in Silicon Valley to build solutions using APIs," Doug Nielson, U.S. Bank's senior vice president for innovation research and development, tells CIO.com. Once viewed as risky for heavily regulated big banks, hackathons are becoming de rigueur for financial services firms, which due to organizational bureaucracy, a preoccupation with upgrading legacy IT systems and an inherent aversion to risk have struggled to cultivate innovation. Now banks, many of whom are desperate to attract those digital natives known as millennials, are borrowing a page from the playbooks of Facebook, Google and many other software-happy Silicon Valley giants whose developers host caffeine-fueled coding jams into the wee hours. U.S. Bank’s recent hackathon, titled "Think Big Hack Small,” was targeted at small businesses, such as bakeries and restaurants, which tend to have to both manage their own finances and the daily grind of operations. "If they're a small restaurant they're probably more worried about whether the linen is going to be delivered before the lunch rush than they are about how they're bank account is doing and whether his employees are using a corporate card properly,” Nielson says. Most small restaurants don’t have time to market themselves, which is where Undutchly could prove useful. Restaurants could use the app to better engage with customers, issuing special offers through the software to boost loyalty, according to Harvey Chan, who teamed with Srivastava, Tami Kwok, Amanda Bukur and Zach Moore to build the software. Undutchly securely stores each player’s tokenized card information and processes payments using APIs that MasterCard made available for the hackathon. Making code and data available is key for any hackathon, which are predicated on the Silicon Valley ethos of sharing. U.S. Bank and MasterCard used a software platform from startup Akana to expose their APIs to external developers. Participants used Akana to manage and consume the APIs they elected to use in their apps. In December, Akana also featured in a "remedial hackathon" to get U.S. Bank’s programmers conditioned in modern RESTful APIs. Previously, U.S. Bank had used SOAP-based APIs, which it would share manually, sending a link and documentation to programmers. Nielson and his cohorts decided it was time to update their process for sharing APIs. "We need to get into the 21st century [and] the way tech companies are exposing APIs.” In March, the bank worked with Akana to host a hackathon focused on building solutions for its retail banking business. At the event, U.S. Bank came up with a new home equity line of credit app that it plans to launch later this year. 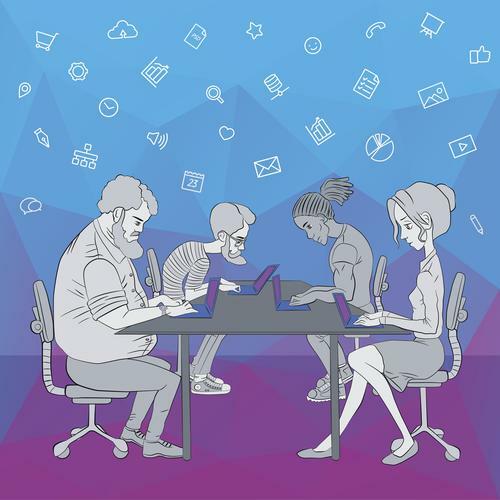 Are hackathons are much ado about nothing? Hackathon has a nice buzzy ring to it and lends some cool credibility to banks, whose bureaucratic and risk-averse cultures foil innovation. “Hackathons are a relatively cheap” way to stimulate innovation and inject new ideas into the business, according to Stephen Greer, a banking analyst with Celent. But aside from an opportunity to burnish laurels, he says, hackathons are mostly marketing exercises. Greer points to how banks are famous for announcing that they’re investing in fintech incubators or fintech startups but the banks will dial back their investments due to the high failure rate and the considerable resources they require to cultivate. With hackathons, banks have a difficult time figuring out how to integrate what the winners have created into the business. “There’s an argument that can be made that hackathons aren’t necessarily the biggest success stories, other than for PR,” Greer says. Whether or not large banks are getting anything tangible out of their hackathons remains an open question. Yet some of the world’s largest financial institutions, including Citibank, Barclays, BNY Mellon, First National Bank, and Royal Bank of Canada continue to host them, seeking fresh approaches to software and, quite possibly, fresh blood in the form of talent. Nielson says that hackathons help employees and external talent understand that the bank is thinking about what it needs to do to stay relevant in the digital economy. But, he says, they also provide a PR benefit, alerting Silicon Valley developers that U.S. Bank has viable APIs to share and is open for business with developers and small financial technology firms. “We may not be at the Google or Facebook level yet but we’re moving in that direction,” Nielson says.